Gluten Free Oreo Recipe | The Free From Fairy. 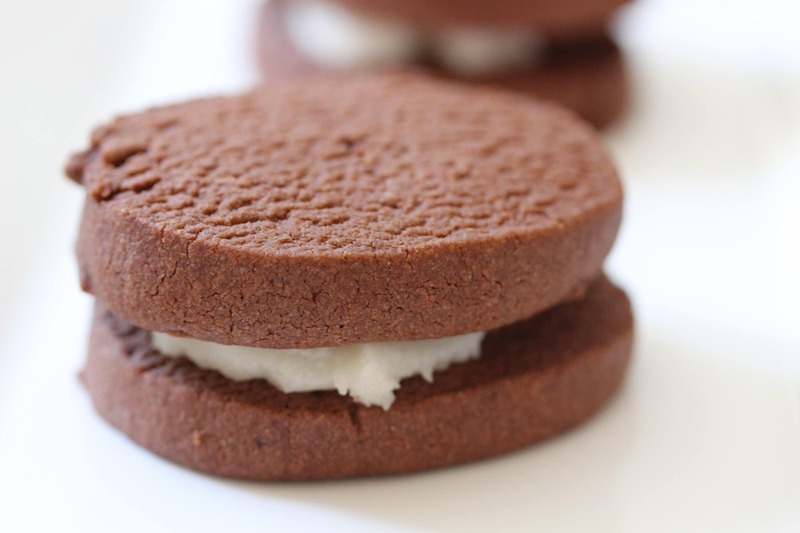 This gluten free Oreo recipe was created by 10-year-old ‘Roo’ last week. She came home from school in ‘need’ of a sugar fix. I generally avoid sugar so there was nothing suitable in the cupboards. If you ever want to get your kids into baking this is the way forward. “Roo’ regularly bakes now because she knows that otherwise there will be no treats in the house! Our ‘go to’ recipe book for inspiration is Short and Sweet by Dan Lepard. His recipes are incredible and I’ve never had a problem converting them into a gluten free (and often dairy free too) version. He is one of my baking hero’s. After a quick flick through the book she came across a recipe called Toll house yo-yos. I’ve no idea why they are called that. 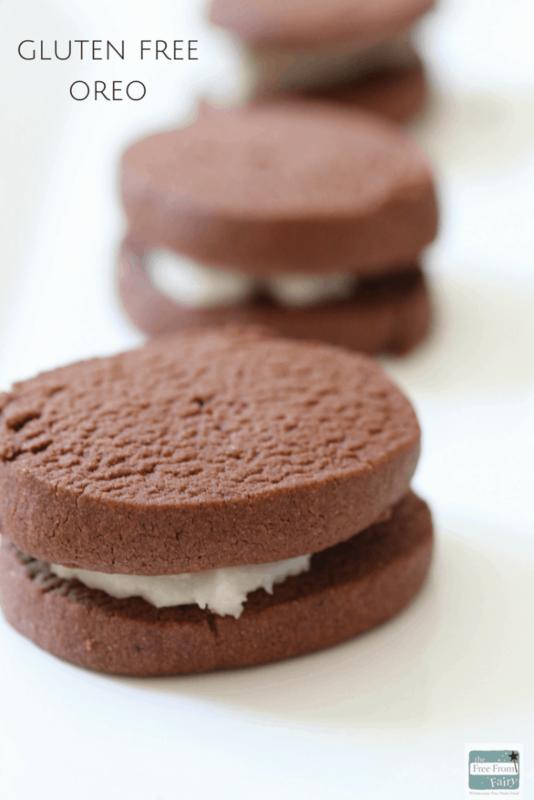 ‘Roo’s’ all chocolate, gluten free version reminded me of a huge and more spectacular Oreo. 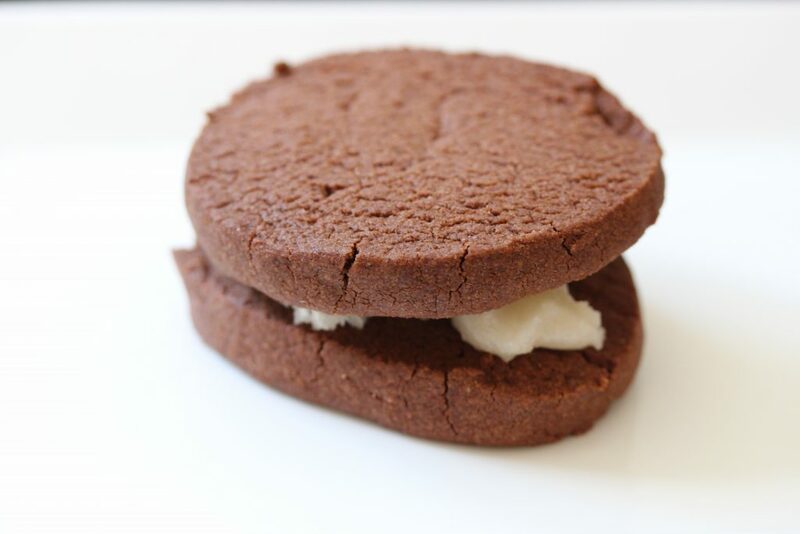 You could cut them thinner for a more Oreo-like biscuit. I personally prefer this chunky satisfying version. Did I resist the temptation? No of course I didn’t, which is how I know they are spectacular. 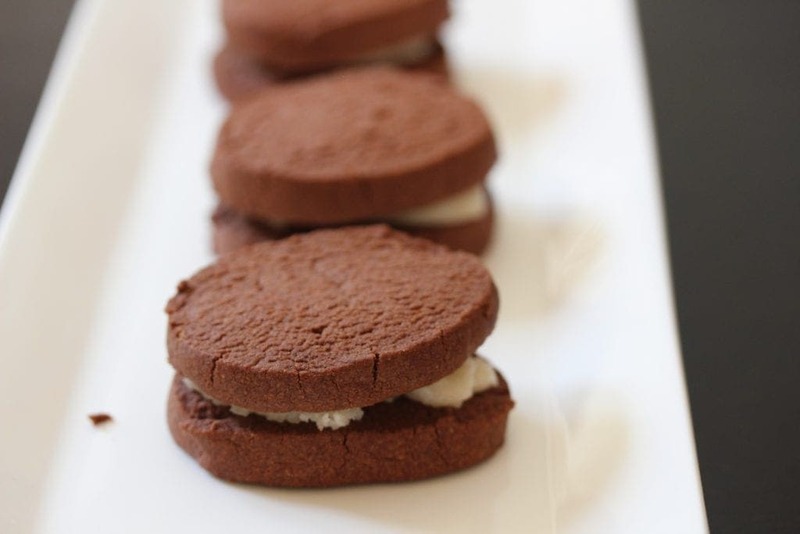 They are light and chocolatey and completely irresistible. 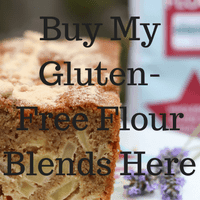 ‘Roo’ exchanged the ‘normal’ plain flour for my wholegrain gluten free flour blend. It works beautifully in the place of wheat flour in most recipes and is particularly good in biscuits. I’m 100% certain that nobody would know these were gluten free. 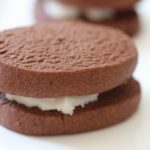 In addition to swapping the flour, ‘Roo’ (under my guidance) used a lot less sugar in our gluten free Oreo recipe than in the original recipe. In addition to 150g dark chocolate (which we didn’t use) we cut the sugar down from a total of 475g to 300g. Still a lot, but a whole lot less than in Dan’s recipe! If you need to avoid dairy too then I suggest using dairy-free margarine in place of the butter. I haven’t tried making these with coconut oil but I’m sure it would work if you reduced the amount to 120g and added a little extra milk. Then they would be vegan too. Anyway, whatever you do, be sure not to the loose the recipe. Pin it now.